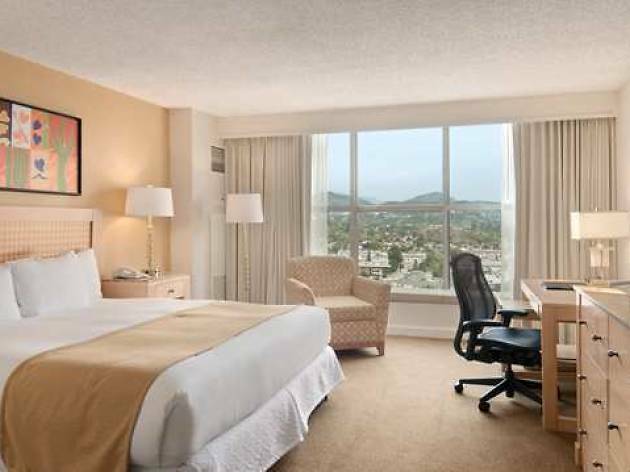 Whether you're looking for a place within walking distance of the Americana at Brand or a short ride from Bob Hope Airport, you'll find something to suit your needs among these Glendale hotels. 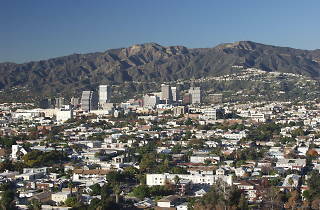 Many of the area's lodgings are located near the 134 freeway, which puts you a little out of the way from some things to do in Glendale but within a convenient drive to just about everything else; the San Fernando Valley city is situated close to major LA attractions like Universal Studios, Griffith Park and the LA Zoo. 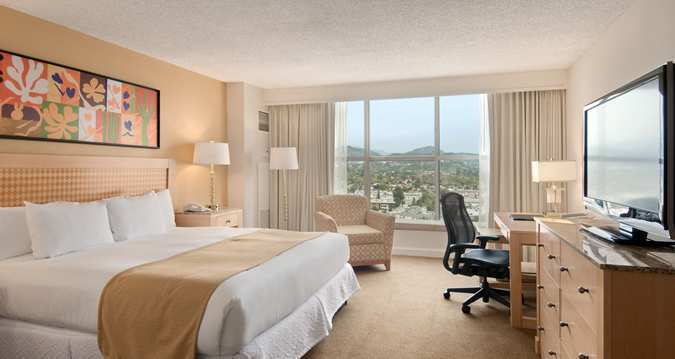 Make the most of your stay in the friendly Los Angeles suburb with a few nights at one of these Glendale hotels. 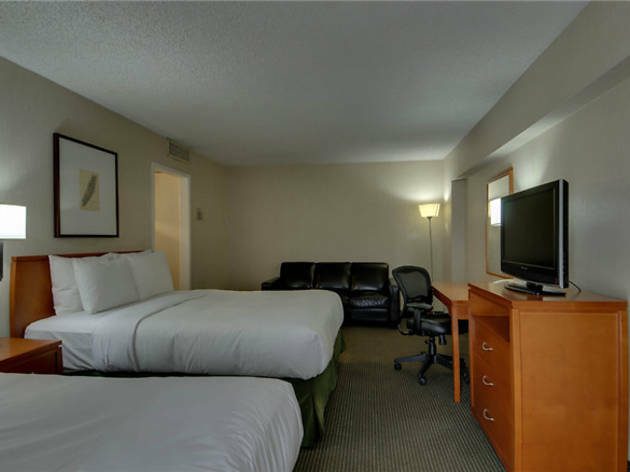 This high-rise hotel's immediate freeway access makes it a convenient spot for nearly any destination on the northeast side of the city. Every room here is a two-room suite, many of them with views of the mountains. 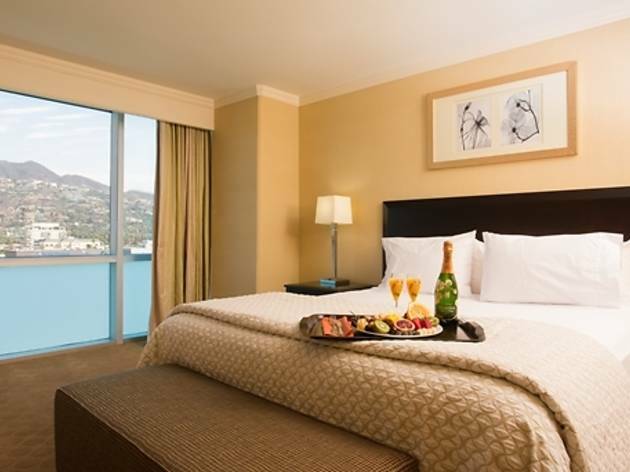 All reservations include complimentary breakfast and an evening reception. The only downside: you'll have to pay for internet access (unless you're a Hilton member) and $18 for parking. This small boutique hotel dates back to the '20s and sits atop a jazz club—though you won't hear a peep from your room. Despite its age, its modernized rooms are colorful and clean, if not a little bit cozy. It's the only hotel located directly in Glendale's walkable downtown, and it shares the same block as the legendary bakery Porto's. This Vagabond Inn sits right across the street from the Americana at Brand. 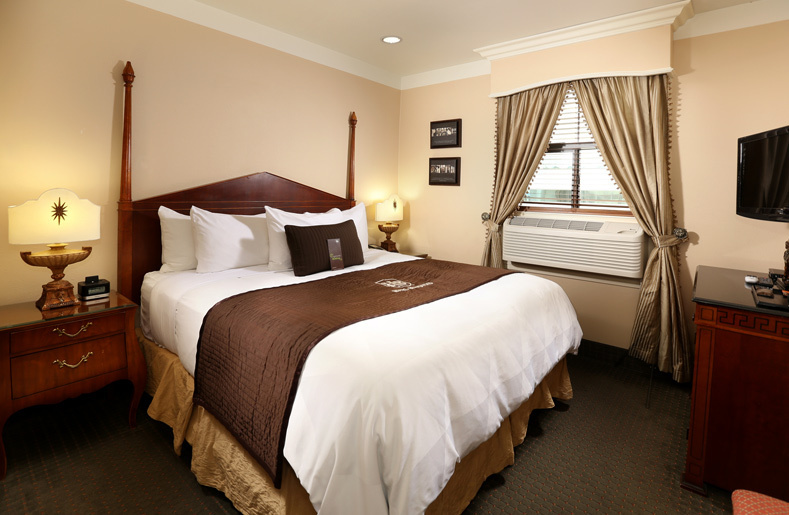 Though it's a straightforward motel from the outside, the rooms are clean and comfortable, especially for the price. 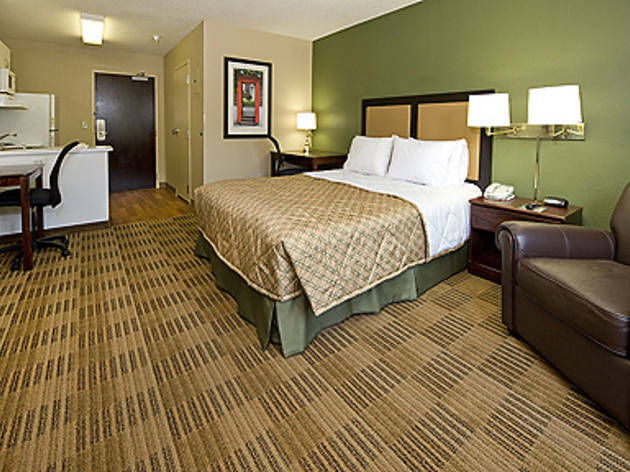 Reservations include free breakfast, parking and Wi-Fi. 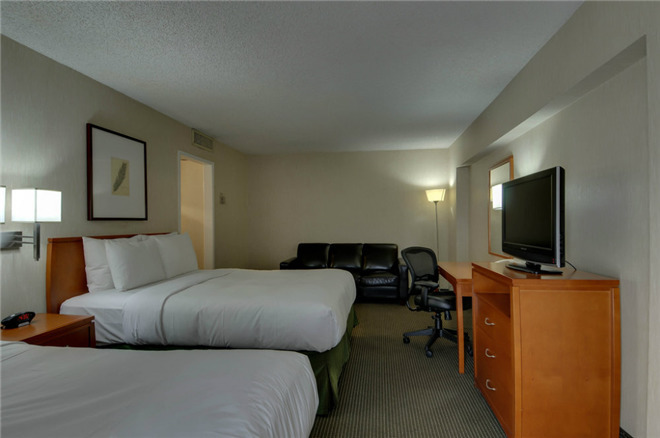 This extended stay hotel sits closer to the more residential side of Glendale, with easy access to both the Disney and Dreamworks campuses in Glendale. 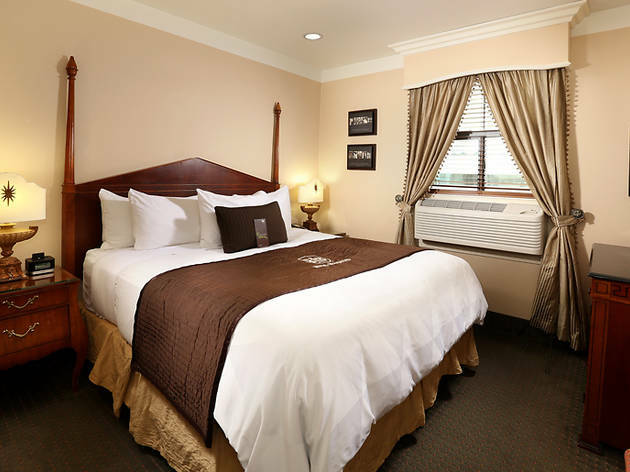 The rooms are comfortable and spacious, complete with a full kitchen, and reservations include free Wi-Fi and parking, as well as a complimentary grab-and-go breakfast. 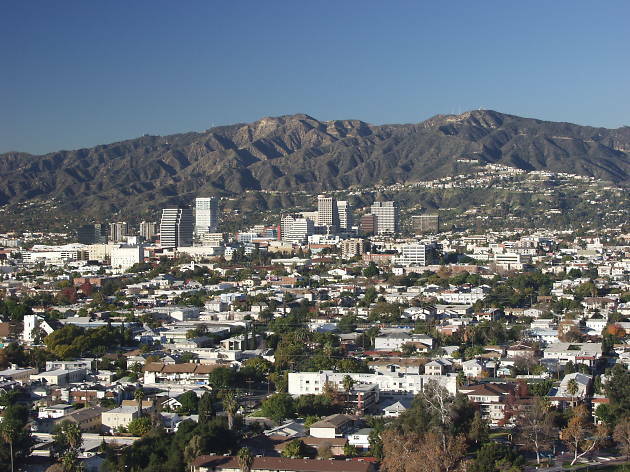 Glendale may not be known for its scenic vistas, but the mountain view from this hotel's top floor lounge is remarkable. 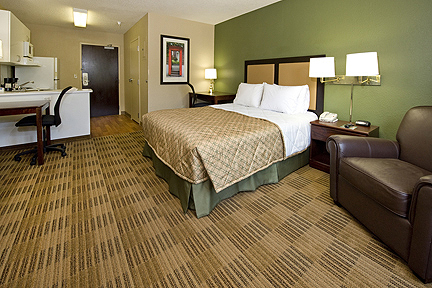 The hotel is definitely geared more toward business travelers, but the golden-hued rooms are still inviting. Unfortunately, you'll have to pay for internet and breakfast, as well as $18 for parking.